Amazon.com stocks up on these books and Barnes & Noble piles them 10 books deep on tables with the title “Sunshine State Award Books” each summer knowing families are looking specifically for these hot titles! There are two Sunshine State book lists: one for elementary grades and one for middle school grades. 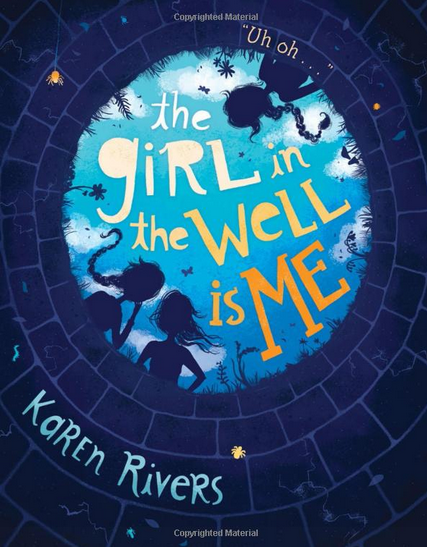 The elementary titles are great for students in grades 3-5 and the middle school novels are selected for readers in grades 6-8. Each list represents the best in young literature and there are typically a dozen titles or more nominated to each list. – Have an author who lives in North America. 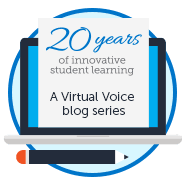 – Be appropriate for students from all around Florida in grades 3 to 5 and/or 6 to 8. – Have a Copyright Date of 2010 or Later. After a voting process, the lists are created. The book lists for 2017-18 are simply amazing. The genres span from silly mischief to mysteries that will leave you gripping each and every page! 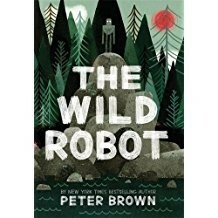 Can a robot survive in the wilderness? When robot Roz opens her eyes for the first time, she discovers that she is alone on a remote, wild island. She has no idea how she got there or what her purpose is–but she knows she needs to survive. After battling a fierce storm and escaping a vicious bear attack, she realizes that her only hope for survival is to adapt to her surroundings and learn from the island’s unwelcoming animal inhabitants. Timminy knows that moving to a new town just in time to start middle school when you are perfect bully bait is less than ideal. But he gets a great consolation prize in Maxi—a gentle giant of a dog who the family quickly discovers is deaf. Timminy is determined to do all he can to help Maxi—after all, his parents didn’t return him because he was a runt. 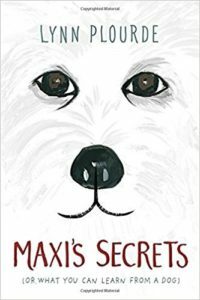 But when the going gets rough for Timminy, who spends a little too much time getting shoved into lockers at school, Maxi ends up being the one to help him—along with their neighbor, Abby, who doesn’t let her blindness define her and bristles at Timminy’s “poor-me” attitude. It turns out there’s more to everyone than what’s on the surface, whether it comes to Abby, Maxi, or even Timminy himself. Neil Andertol and a motley crew of video-gaming whizzes accidentally download top-secret training software. When they are recruited by the military to restore a botched aircraft mission, they’re no longer playing for points—they’re playing to save the world! 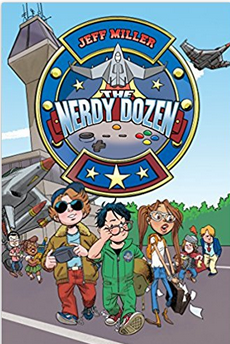 Part action movie, part slapstick comedy, debut author Jeff Miller’s The Nerdy Dozen is a madcap adventure for the middle grade set. Bring the SSYRA lists below to your local library! 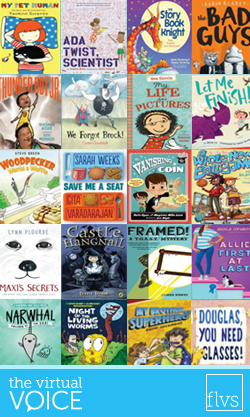 Be sure you encourage your children to pick up a few of these titles this summer and extend their love of reading! 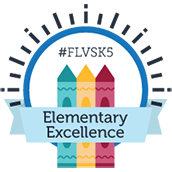 If you need assistance selecting interesting and grade appropriate titles for your child, please reach out to your FLVS Literacy Coaches! Now print out the lists for your family and start checking off titles! Read as a family! This entry was posted in Educator Edition, Homeschool Edition, Parent Edition and tagged Books, Children's Books, Elementary Parents, FLVS Literacy, Literacy, Literacy Coaches, Parent Resources, Picture Books, Reading, SSYRA, Summer, Summer Activities, Summer Reading, Sunshine State Young Readers Awards on May 25, 2017 by Dr. Jeanne Giardino.